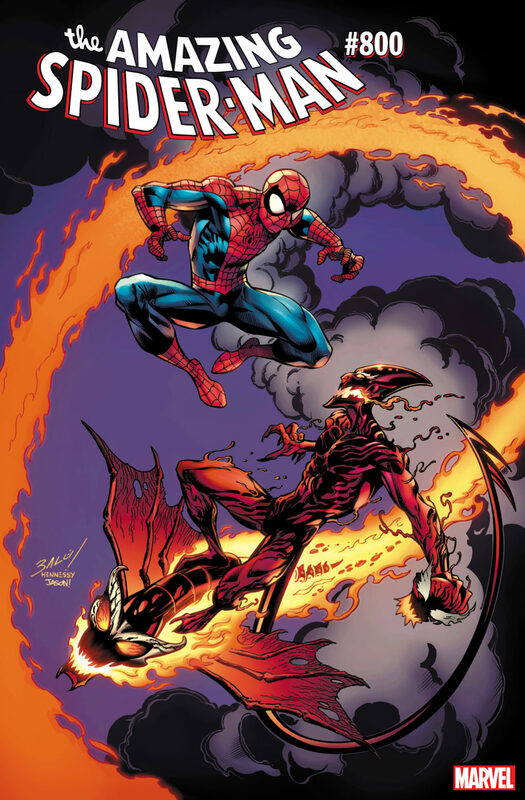 Celebrate AMAZING SPIDER-MAN’s Landmark 800th Issue with a Variant Cover by Mark Bagley! New York, NY—April 11, 2018— It’s all been building to this – the biggest Peter Parker and Norman Osborn story of all time, and the first Marvel comic EVER to hit 800 issues! In celebration of the 800th issue of AMAZING SPIDER-MAN and the now historic run of Dan Slott, Marvel is excited to show a variant cover from industry great Mark Bagley! Witness the culmination of the Red Goblin story as Slott is joined for his final issue by epic artists such as Stuart Immonen, Humberto Ramos, Giuseppe Camuncoli and Nick Bradshaw! Capes and Commentaries #12 - X-Men "Night of the Sentinels (Part 1)"
Marvel Reveals New SPIDER-GEDDON #1 Cover From Pasqual Ferry!